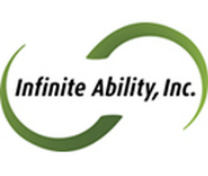 Services - Infinite Ability, Inc. Individual Service Plans are comprehensive plans that review the services required for each client based on his or her individual needs. It emphasizes the client’s abilities and limitations in the following areas: vision, hearing, communication, orientation, eating habits, swallowing, special diet, ambulation/mobility, transfers, medical, dressing, grooming/bathing, survival skills, behaviors, homemaking and other special considerations. Individual service plans review the progress made by each client according to the category and address the action plan to be taken by staff members to allow for continuous improvement.